One of the highlights of this week was a mid-week dinner date with my girl Gena! Gena and I made plans to meet up on Wednesday for dinner a few weeks ago — our schedules are so ridiculous they usually require at least a month’s advance notice, lol. We were debating going out to dinner vs. cooking and decided it would be fun to cook this time instead! Given that we’re both so busy, we didn’t want to make it a huge ordeal — we decided to use what we already had and come up with some sort of recipe collaboration based on that. Not spending more money, using up ingredients I already had on hand and needed to use, AND getting to catch up with a friend? Perfect! 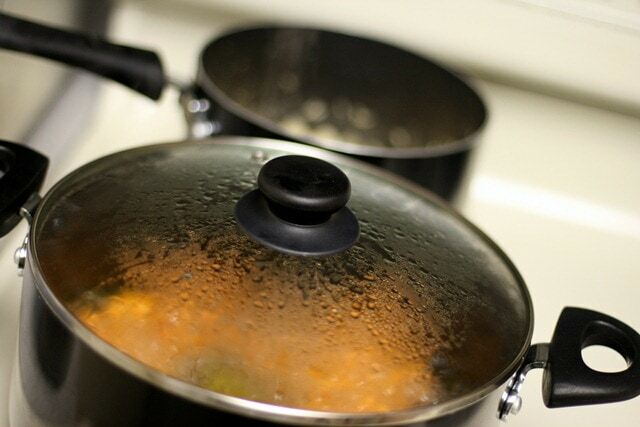 Via email at 7 a.m. on Wednesday, we quickly took stock of our kitchens. Anne: mixed greens, spinach, string beans, tomatoes, salsa, canned beets, 2 sweet potatoes, dry lentils, brown rice, brown rice noodles, chia seeds, slivered almonds, nutritional yeast, coconut oil, hemp oil, olive oil, lemon juice, balsamic vinegar… etc etc. Gena: greens, zucchini, cooked green lentils (probably 2 cups or so? ), romaine lettuce, arugula, cherry tomatoes, nuts and seeds galore, leftover odds and ends, including red pepper, broccoli and snap peas, and fruit. After some time to debate, we decided to use my sweet potatoes and brown rice and Gena’s cooked lentils and hemp seeds to make a sort of fun vegan casserole. Dressing/sauce for the casserole was TBD but we decided to use my hemp oil to go with the hemp theme. 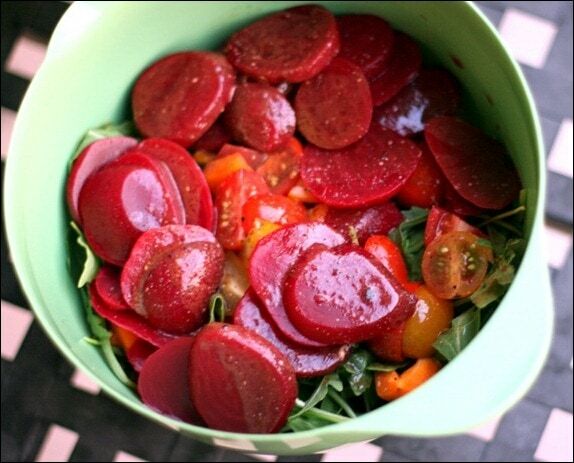 On the side, we’d decided to use Gena’s arugula and my beets, plus her cherry tomatoes and any other veggies were had lying around, to make a fun salad. The plan was I would toss the sweet potatoes and brown rice on the stove when I got home from work so they’d be mostly ready by the time Gena arrived at my place at 7. Perfect! I raced home, hit the gym, and then got the brown rice and sweet potatoes simmering. When Gena arrived, we threw everything together while chatting away and enjoying some music on Pandora. 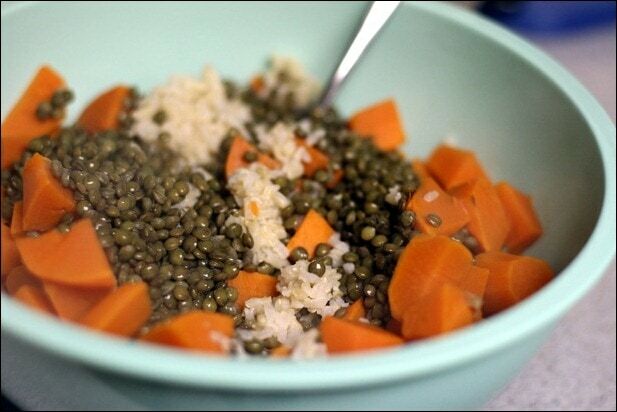 First up — combine the brown rice, sweet potatoes, and Gena’s pre-cooked lentils. Then add in some hemp seeds — just a few shakes. Next, I set to preparing a vinaigrette/sauce while Gena chopped veggies for the salad. We decided for simplicity to use the same vinaigrette dressing for both the sweet potato/lentil dish and our salad — it worked perfectly! 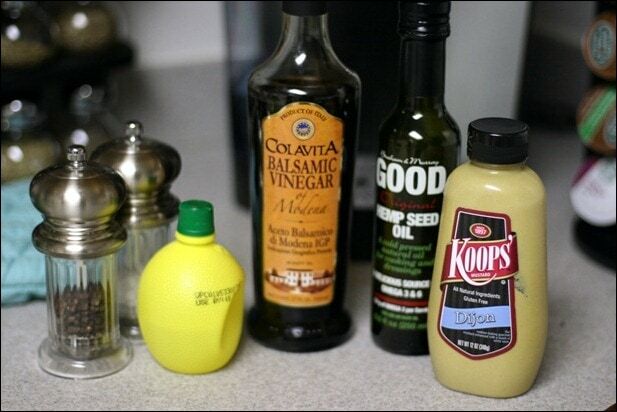 I whipped up one of my standard favorites — hemp oil vinaigrette. Yes, I use bottled lemon juice. Don’t judge. I never seem to have a real lemon on hand when I need one. :) Recipe for the vinaigrette (and the rest of the meal) will be at the end of the post! Within minutes, dinner was served. 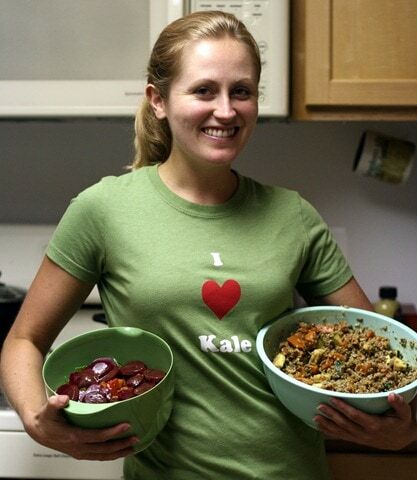 Here I am with our meal in my I <3 Kale shirt. It seemed appropriate. 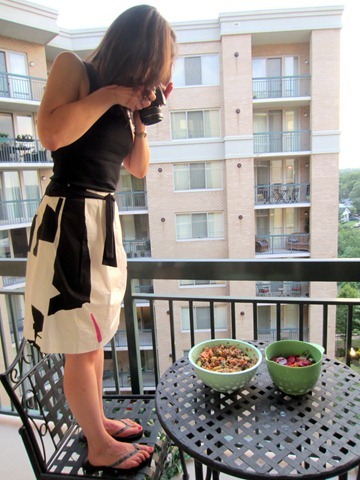 But since we’re food bloggers, before eating comes photos. ;) It’s just how we roll. I love this photo of Gena in action — isn’t her skirt adorable?! 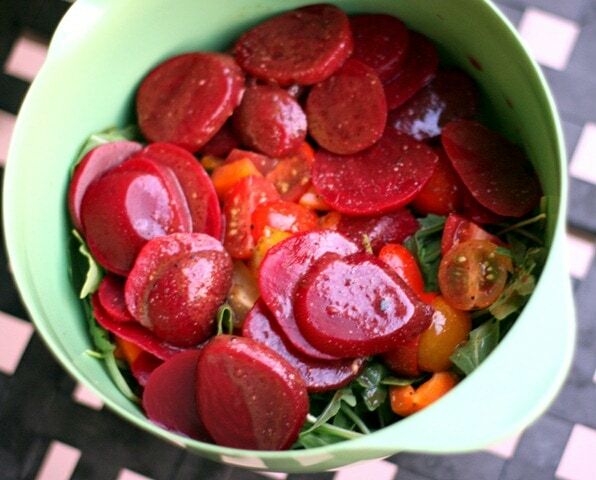 Our salad ended up being a combination of arugula, canned sliced beets (canned beets are awesome, try them), sliced tomatoes and peppers, and the hemp oil vinaigrette. 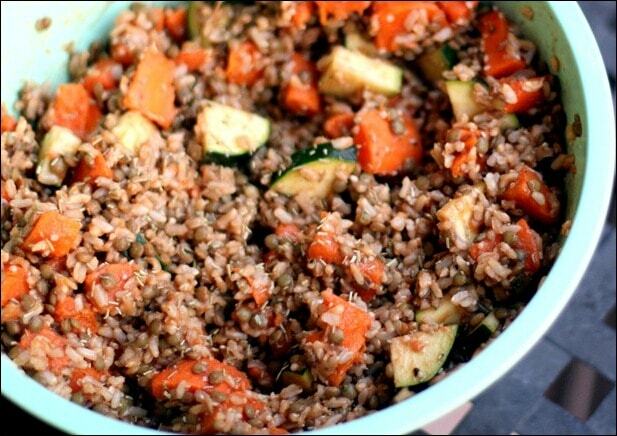 And here’s our brown rice, sweet potato, and lentil creation! Now dinner is really served. :) Here’s my plate! We ate all the arugula salad and boxed up the rest of the lentil/sweet potato salad as leftovers for each of us to take home. 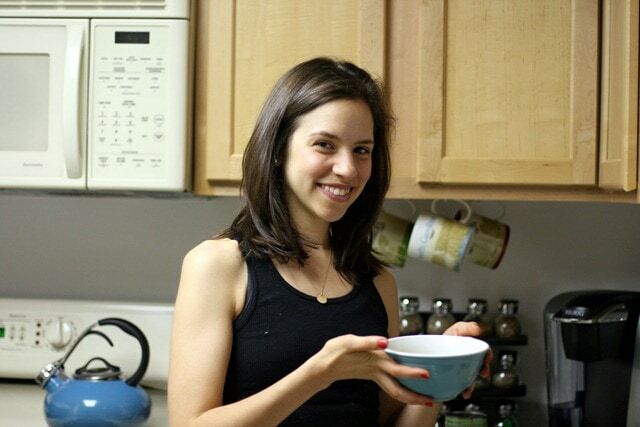 A delicious, healthy meal with awesome company — thanks for the fun night, Gena! I love going out to dinner, but I really love having friends I can cook a healthy, simple meal with, too. :) Can’t wait to do this again soon! 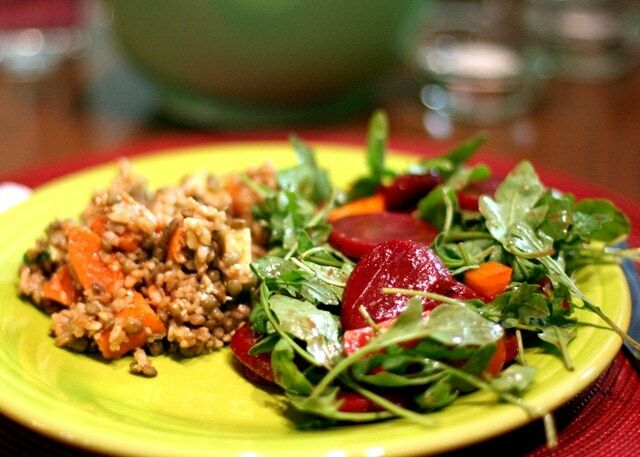 Want to recreate this meal for yourself at home? Matt and I polished off the leftovers last night and he enjoyed it, too. Great flavor and very easy to make! Here’s the recipe. 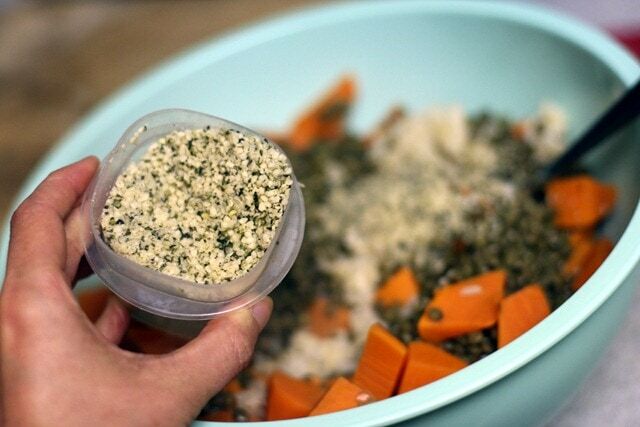 1) Mix all of the ingredients in the top section together in a large bowl. In a separate small bowl, whisk together all the vinaigrette ingredients, tasting as you go and adding more lemon juice or dijon mustard to taste. 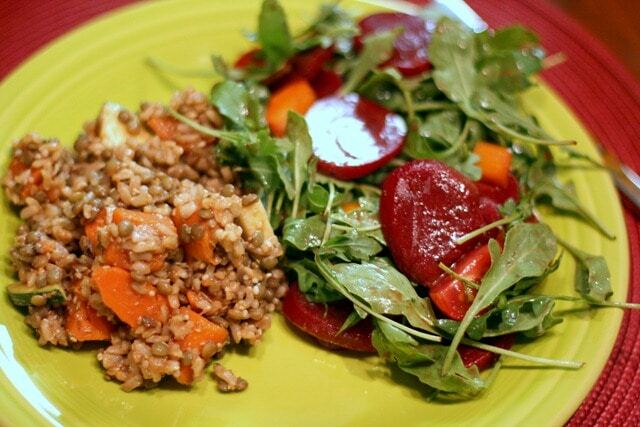 2) Top the brown rice/sweet potato/lentil salad with the vinaigrette. Mix and enjoy! 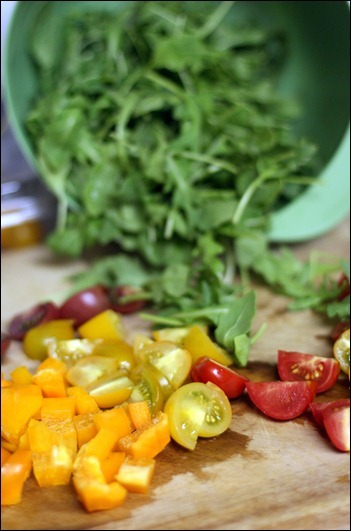 We also topped our side salad with the same vinaigrette — delicious. 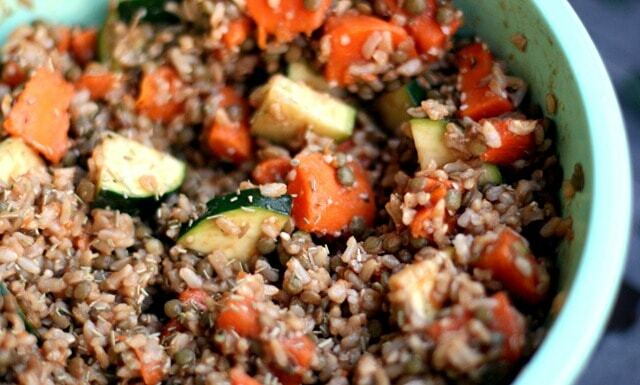 This recipe can be made using any other kind of grain — I bet barley or quinoa would be really good, too. 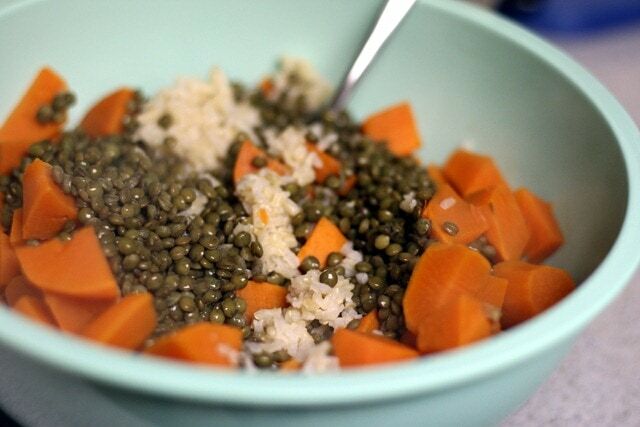 And if you don’t have cooked lentils ready to go, try another kind of bean! This recipe is all about creativity. Enjoy it! Off to work — TGIF!! Previous article: Worth Waking Up For. Next article: My Bridal Shower! I love the idea of an ingredient potluck. Must try this with friends soon! I had such a lovely time. It’ll have to be a tradition: sure, restaurants are fun, but in some ways, it feels like a bigger treat to collaborate on great food with someone who is close and equally psyched about healthy eating!! AND I can’t wait to see you, my dear, tomorrow!!!! I think you could be on top-chef! Or whatever cooking show where they give you random ingredients and you make a meal out of it. :) Have an AMAZING weekend!!! 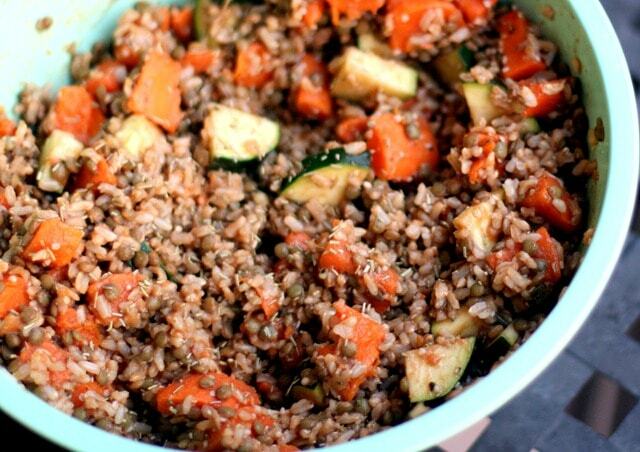 Looks tasty – I’d love to try it with quinoa! It’s sold in most major grocery chains and also Target, Walmart, etc. Cool – I’ll check it out, thanks! Looks wonderful, Anne. Well done/thanks! This sounds amazing! Does the hemp oil/seed have a very strong flavor? No, not really! A little nutty. Amazing really, I love this recipe, thanks Anne for sharing again. I hope you can enjoy so much your bridal shower!! What a fun day. I love that green I love Kale T-Shirt. The color looks terrific on you. Food looks good too.